Sandwiches are the perennial staple of the American diet for several reasons. But the best reason is because they are just so good and there is such a variety, plus they are filling. OK, so that’s three reasons why we love sandwiches so much, no need to be judgmental. 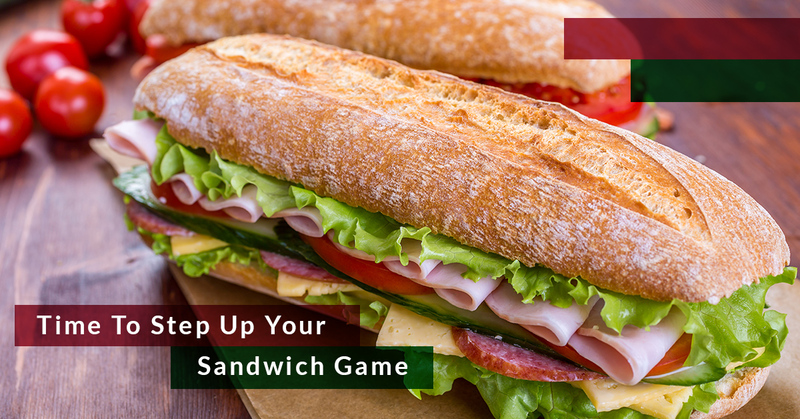 Whether you are making a ham sandwich or a sandwich with organic pepperoni as the base, there is more to a sandwich then the meat and bread. Constructing a great sandwich is not a skill everybody is born with, many have to learn how to do it. If you think you are ready to step your game up and create sandwiches worthy of being dubbed “masterpieces,” here are a few tips you need to heed to achieve success. If you use Wonderbread when making a sandwich, then hang your head in shame and quietly leave the room. Don’t forget to turn the lights out. Get a jump on your daily fiber requirement by choosing a hearty whole-grain bread. You might also want to consider shopping for pitas, wraps or sandwich rolls instead of traditional bread. Starting with a good bread is critical in creating a sandwich that will be considered a masterpiece. There are so many more condiments available than your typical lubricants like mayo, mustard and butter. Actually, your sandwich spread has double duty; it adds moisture to all the right places and insulates the bread from soggy-inducing ingredients like tomatoes. If you like mayonnaise, that’s fine, but spike it with something to breathe life into it. Don’t hold back on the mayo, add ginger, curry or olive oil to it and then a splash of Sriracha. Shy away from the traditional and spread different types of goodness on your sandwich in the form of hummus, guacamole, pesto or tapenade. Tapenade, a concoction featuring chopped olives, capers and anchovies will really kick the flavor up a notch or two. Cheese adds flavor to your sandwich while also providing much of your daily calcium intake. But we recommend you skip the Velveeta slices in favor of cheese that is, well, real cheese. Fresh mozzarella has a nice balance of protein and fat and pairs nicely in a sandwich stuffed with Italian specialty meats. Sharp cheddar and buttery provolone are good cheese choices as well. Skip anything that isn't considered a real meat, like bologna for example. If you want to eat a real good sandwich, choose organic pepperoni, lean roast beef, turkey or ham. If you are a vegetarian, you can build your sandwich around hummus or black bean spread. Other considerations in your sandwich include boiled eggs, tuna or a chicken breast. Iceberg lettuce is fine, but show us you have a sense of creativity and add leafy greens to your sandwiches like spinach and arugula. Not only will these greens add flavor, they will add a ton of nutrients as well.